White Rock building that is family friendly! One dog or cat are welcome! 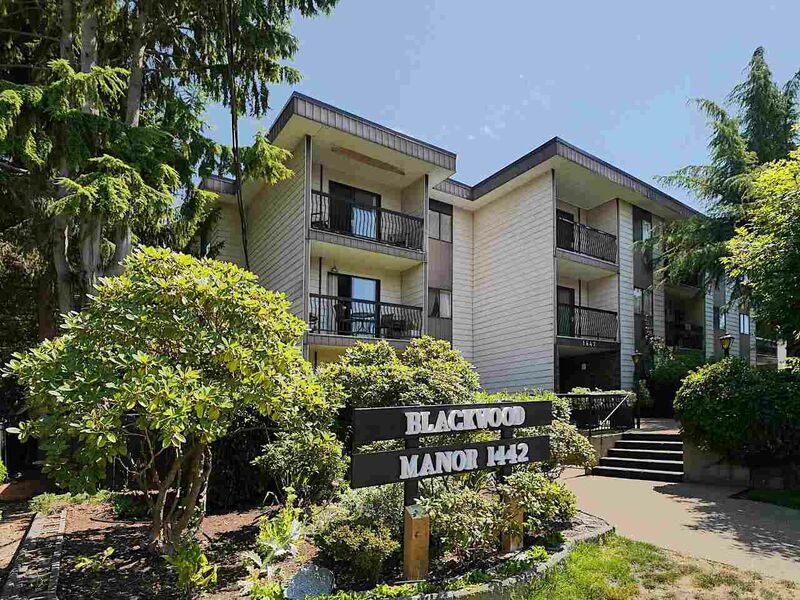 Blackwood Manor One bedroom apartment. Four piece bath, a galley kitchen with a bright eating area. The balcony overlooks the front garden to the west. Neat and clean; ready for you to move in! Northwest corner unit is always bright and cheerful without the heat. Blackwood Street is quiet and calm; Transit stops on Thrift and North Bluff have you one half block away from the major routes. The bus will take you directly to the beach! Very convenient location for walking and shopping. This is your chance to live uptown in White Rock.